From the Batman v Superman Dawn of Justice collection by Westland Giftware. 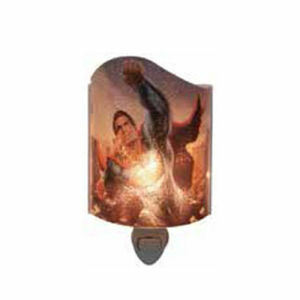 Batman v Superman Dawn of Justice Superman Acrylic Nightlight. From the Batman v Superman Dawn of Justice collection by Westland Giftware. Batman v Superman Dawn of Justice Superman Acrylic Nightlight. Nightlight measures 7 inches tall and includes a rotating plug. Uses 2G92 light bulb. Westland Giftware Batman v Superman Dawn of Justice Household Items shipping from Canada. No Surprise Border fees or Customs!